Libyan oil is attempting a comeback. Despite its flagging performance, and predictions that it may never return to how it was under former leader Muammar Gaddafi, experts hope it will be able to make a full recovery. But problems linked with shutdowns, lack of maintenance and investment still remain. 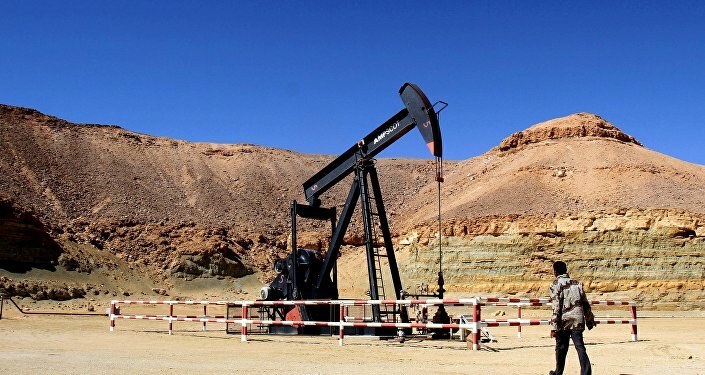 Recently the Libyan state energy company, Sharara Oil, visited the Sharara oil field. Community leaders and workers crowded the meeting room where a conference was held — all of them seeking answers on jobs, training and services for local people. They asked, would their villages start to see the benefit of the country's rising oil production? "You've been very patient, you need to be patient a little longer," Mustafa Sanalla from Sharara oil said. ​Libya's National Oil Corporation (NOC) raised output to more than one million barrels per day (bpd) at the end of June 2017 for the first time since 2013. This was something that seemed near enough impossible after the chaos that followed the toppling of Muammar Gaddafi in 2011. However, the NOC forecasts seem unrealistic, according to some experts. With multiple governments, a collapsing economy and local militias competing for power, the state of the Libya is in a bad way. Six years on from the revolution that toppled former leader Gaddafi, three separate governments in the country — as well many local militia groups — are all competing for authority. ​The UN backs one, which is the Government of National Accord (GNA), but its inability to improve the lives of Libyans has been a source of criticism. So Libya's comeback is crucial to its survival, which currently is very fragile. It is for this reason that an oil revival would be extremely welcome. According to reports, life in Libya under the former ruler, Gaddaffi, was far more optimistic. There were no electricity bills, as it was free for all citizens. There was 0 percent interest on loans, and a home was considered a human right. Education and medical treatment was free and finally, the price of petrol in Libya was US$0.14 per liter, and for US$ 0.15 a Libyan local could purchase 40 loaves of bread. However, after the US and UK invasion of the country in 2011 and the removal leader Gaddafi, a power struggle developed and Libya was never able to fully recover to what it was like prior to the conflict. 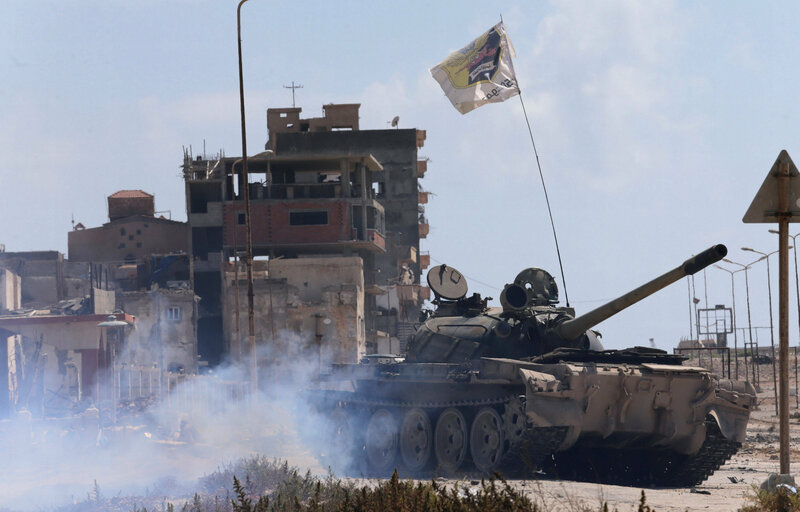 Continuing their land grab across the Middle East, militants of the self-proclaimed Islamic State terrorist group have taken control of the hometown of former Libyan leader Muammar Gaddafi. Now, the NOC is fighting hard to re establish Libya's position as a oil powerhouse once again, and to stop port and field blockades that have crippled Libya's oil production in recent years. The NOC have a goal of pushing production to 1.25 million bpd by the end of 2017. However, the current outlook is not that favorable, as pipelines have corroded, and according to a report by Reuters, thieves have stolen copper wiring at desert oil facilities. No new drilling has been done for three years and few foreign contractors have returned. Funds to replace and maintain infrastructure are badly needed. Some people have even started to ask, the question of where the money will go, if the NOC do succeed in their plan of boasting oil production once again. "Unless we have the money, not only can we not increase production, we cannot sustain production. Until now we haven't received one penny," Sanalla told Reuters in a recent interview. Despite this bleak forecast, only recently sources claimed that Libya's oil production was nearing 1 million barrels a day. The Prime Minister of the Libyan Government of National Accord Fayez Sarraj told Sputnik, that this was "positive news." The Libyan National Army under the command of General Khalifa Haftar has also resumed control of the country's oil facilities, according to Ahmed Mismari, the army's spokesman. "The oil output in Libya has increased up to one million barrels per day owing to the safety and stable security situation at oil facilities," General Mismari said. General Mismari also noted that oil companies may come back to Libya and work under protection of the armed forces. Libya had the biggest proven oil reserves in Africa, however, whether it will return to its glory days — only time will tell.